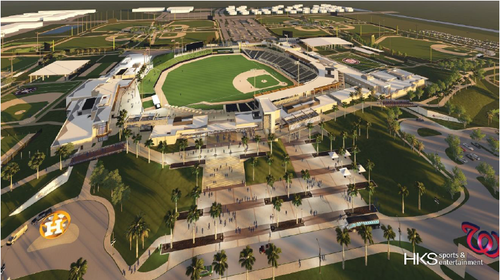 The Ballpark of the Palm Beaches is a spring training facility for the Washington Nationals and the Houston Astros baseball teams. The project consists of over 25 IDF locations all linked with 48 strands of Single Mode Fiber Optic cables and copper backbone back to the MDF. The horizontal cabling consists of approximately 2500 category 6 cables. Our scope included the installation of all sleeves, J-hooks, communication cabinets, racks and 130 surveillance cameras. The entire structured cabling system was tested and certified for a 25 year manufacture warranty with Fluke DTX 1800 testers.